The Lehman 12 class has been popular in Southern California for decades. Every October racers gather at the Newport Harbor Yacht Club for the Barney Lehman Class Championship. The 2016 edition of the regatta was one for the ages, with 18 boats, and competitors ranging from ages: 5- 60. 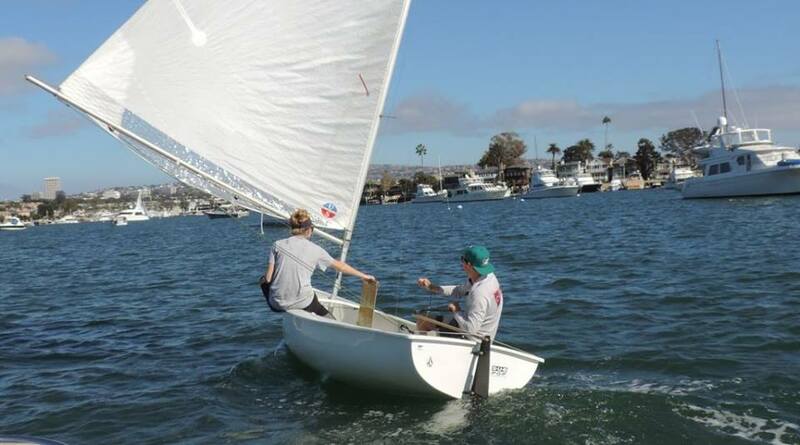 The format of the regatta makes for maximum fun, and minimum stress. Five races were to be completed Saturday with a break after race three, and then four to be completed Sunday with a break after the third race. Saturday’s first session saw light breeze from the south-southwest. The regatta was held in a combination of the turning basin and lido channel. This meant puffy-shifty conditions. In the second session, the breeze filled more from the Southwest, which meant “the Lido Lift” was in full affect. Mac Mace and crew Kristen Abberly got out to an early lead, with Brian Bissel and crew Perry Bissel were tied for second with Ullman Sails, Alex Curtiss and crew Kaitlyn Noreen only five points back from first. 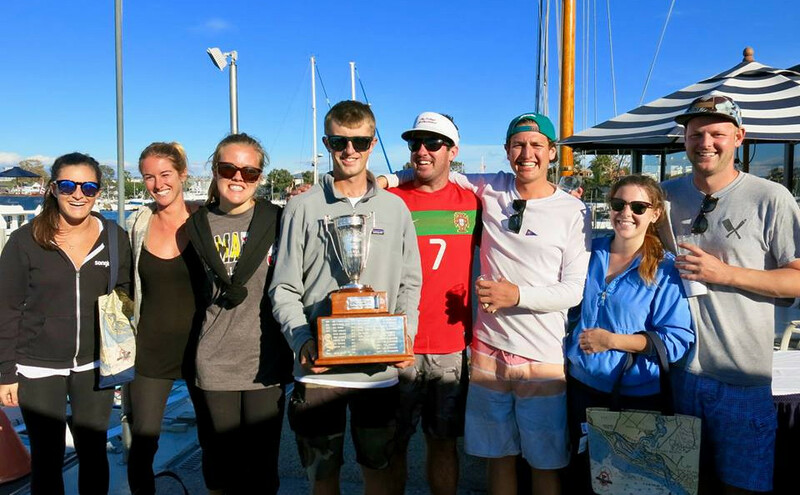 Sailors were greeted on Sunday with a fresh Southwesterly breeze between 12 and 15 knots. The Committee decided to set the weather mark right in the Lido Channel and the leeward mark at the bottom of the turning basin. With lots of different currents and shifts, consistency was hard to come by. Ullman Sails Alex Curtiss and crew Kaitlyn Noreen put the hammer down and won the first race and only had one race outside the top three to take firm control of the regatta. Mac Mace and Kristen Abberly, who were also using a new Ullman Sail were second, followed by Michael Ramming in third. 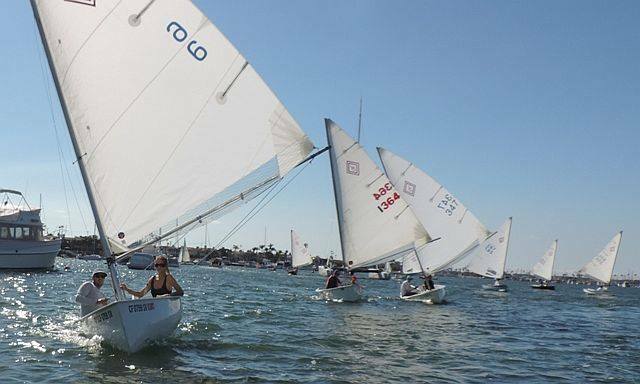 It was an amazing weekend for sailing and a great representation of this classic Southern California class.